I've included fun "alternative" covers of classic holiday songs as well as some of my favorite originals ("All that I Want" by the Weepies is perhaps one of my all-time favorites, and it is certainly a hidden gem). Of course, I can never resist failing at belting out Mariah's "All I Want for Christmas"! 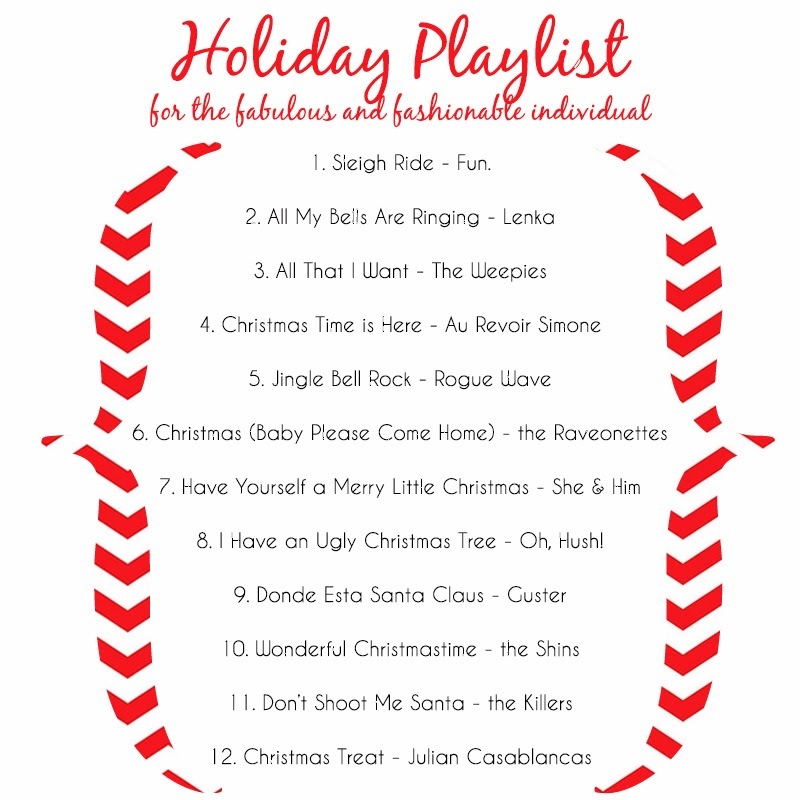 What are your favorite holiday jams?